SOLD OUT ** Lucky Mystery Box - Cardfight!! Vanguard Edition ** Join the Waitlist! 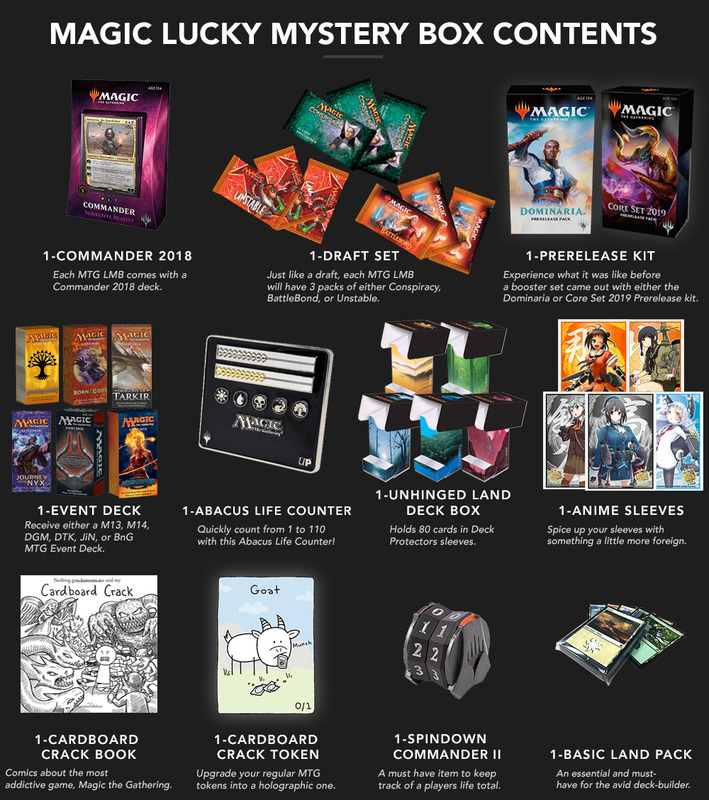 SOLD OUT ** Lucky Mystery Box - Force of Will (TCG) Edition ** Join the Waitlist! SOLD OUT ** Lucky Mystery Box - Weiss Schwarz (English) Edition ** Join the Waitlist! SOLD OUT ** Lucky Mystery Box - Weiss Schwarz (Japanese) Edition ** Join the Waitlist! When ordering (1) Lucky Mystery Box, please use [Medium Flat Rate Box] for your shipping option. If you are ordering Two (2) or more Lucky Mystery Box, please use [Priority Mail 3-Day] for your shipping option. You may also use [UPS Second Day Air] or [FedEx 2-Day] for faster shipping.